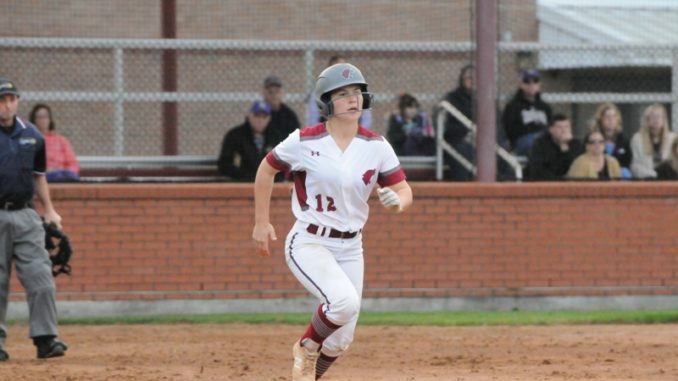 Alyssa Vicknair and the Destrehan Wildcats are on to round two after going on the road and upsetting No. 10 seed Mandeville. Through all the ups and downs of a challenging schedule, one that saw Destrehan finish its regular season with a 14-16 record and several close losses, there’s little doubt today how the Lady Wildcats and their coaching staff feel about all of that today. It tested the Ladycats in the type of tight, contested battles its players found themselves in Friday in its Class 5A postseason opener at No. 10 Mandeville. And it prepared them to emerge victorious—Destrehan earned a 1-0 victory behind a complete game shutout by Tyler Oubre and some late inning offensive magic. Gia Zeringue scored the game winning run on a double steal in the seventh inning on Friday. 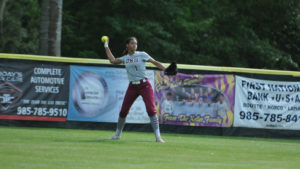 “It was a great, hard-fought game between two good softball teams,” said Destrehan coach Kenneth Montz. 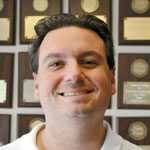 “We’ve been in a lot of these types of games throughout the year, and our girls didn’t panic. We did enough to get through. It was Destrehan’s first postseason win in the past six years. Last year saw a tough loss against West Monroe. This time, the Wildcats (15-16) finished the job. As result, Destrehan will host No. 7 Northshore in the second round. That game is set for Tuesday at 4 p.m. The Wildcats found the winning run in the top of the seventh inning, and did it via some trickery. After Gia Zeringue doubled and Tyler Oubre singled then reached second base, Destrehan called for a “steal and stop,” with Oubre being caught in an intentional rundown between second and third and allowing Zeringue to race home and score the eventual winning run before Mandeville could tag Oubre for the third out. A gutsy call, to be sure. When was the last time Destrehan called upon that maneuver in a critical situation? Like last year’s 2-0 playoff loss to West Monroe, Destrehan’s clash with Mandeville (18-4) was a pitchers’ duel. Tyler Oubre was dominant, allowing just two hits and striking out 11 batters to outduel the Skippers’ Grace O’Berry, who allowed one run on four hits while striking out eight. At the plate, Destrehan’s Brianna Dominguez led all hitters with a pair of hits. Mandeville threatened early, loading the bases in the bottom of the first inning with two outs. Oubre got out the jam via a strikeout, and never looked back. Mandeville had one base runner as far as second for the rest of the day. Destrehan didn’t threaten offensively until the final inning and Zeringue and Oubre’s base-running heroics. Oubre and the Wildcats defense retired the Mandeville side in order to cap the game. Last season, on a team featuring several underclassmen including five freshman starters, Destrehan set a new single season record for wins. Montz ratcheted up the level of difficulty on his schedule a year later, and though the team has less overall wins, none would likely trade it.